Plus, Grand Lake Kitchen plans an expansion. 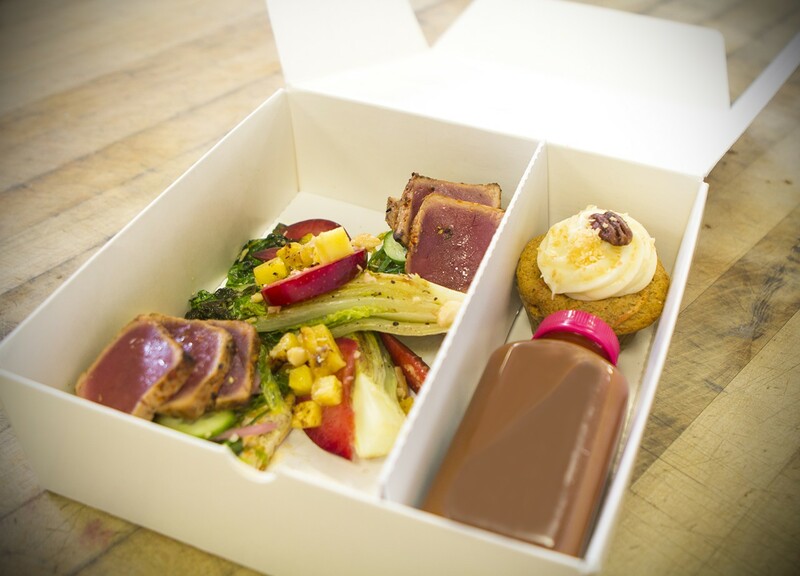 In the Bay Area's tech-driven, convenience-oriented, "Uberized" economy, food delivery services that shuttle gourmet meals to your doorstep at the click of a button are a dime a dozen. But Sabrina Mutukisna's new food delivery business, The Town Kitchen, is almost certainly the only one that is operated almost entirely by low-income Oakland youth — from cooking and packaging to distribution and delivery. Not only does she eventually plan to offer steady employment to 43 Oakland youth between the ages of 15 and 24, Mutukisna said she also wants to offer employees the chance to receive college credit for participating in The Town Kitchen training program, which will equip them with skills for whatever career path they choose to pursue. "We want them to have transferrable skills, not just start a jam company," she said. Mutukisna is banking on the fact that customers will find that narrative compelling as The Town Kitchen kicks off a $40,000 crowdfunding campaign on Indiegogo. As of this printing, the company is nearly a third of the way toward reaching its goal, which it needs to do by December 20 in order to receive the funds. A UC Berkeley graduate, Mutukisna said her interest in entrepreneurship stems from her own working-class upbringing — she was basically raised in her parents' dry cleaning business. As a teenager and adult, she started her own cupcake company and worked as a mentor to low-income college students in San Francisco pursuing their teaching certification. The Town Kitchen combines Mutukisna's passions for food and youth development. The company will be a for-profit enterprise — to make it more sustainable, she explained — but the social mission will be at its very heart. Employees will be learning to cook and make deliveries promptly, but their coursework will also equip them with such marketable skills as web design, social media, and bookkeeping. Of course, The Town Kitchen is a food delivery business, not a charity, and the company will thrive or sputter on the merits of the service it provides. While it might be difficult to compete with a company like Berkeley's SpoonRocket in terms of sheer speed, Mutukisna expects that the quality of the food — along with the feel-good story — will draw the kind of corporate clients that should be the backbone of the business. A typical Town Kitchen meal will consist of an entrée (say, an open-face smoked salmon and egg salad sandwich or a soba noodle salad with free-range chicken), a vegetable side dish, and two locally produced artisan food items (usually a drink and a dessert). For now, the company's head chef, Jefferson Sevilla, who previously worked for SpoonRocket, is doing most of the cooking. But the idea is that the youth employees will eventually get their food safety certification so that they can create the meals from beginning to end — and even contribute menu ideas. Since it launched earlier this year, the company has been hiring youth on a case-by-case basis for catering gigs, and it has made do with renting shared commercial kitchen space. The bulk of the $40,000 from Indiegogo will go toward securing a commercial kitchen space that The Town Kitchen will be able to call home. For now, the company is accepting large catering orders of thirty meals or more, with smaller orders available via the online marketplace Good Eggs starting in January. By the summer, though, Mutukisna hopes to hire The Town Kitchen's first cohort of youth employees and expand the service so that anyone can order a meal delivered to their home or office on demand. 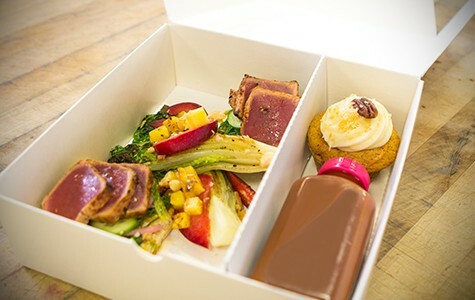 If you'd like to sample The Town Kitchen's food offerings prior to its official launch, the company's young employees will be selling lunch boxes at the San Francisco Bazaar craft fair and holiday show on December 13 and 14, from 11 a.m. to 6 p.m., at the Fort Mason Center's Herbst Pavilion. In the two years since Oakland's Grand Lake Kitchen (576 Grand Ave.) opened its doors across the street from Lake Merritt, the neighborhood deli has garnered a reputation for excellent sandwiches, a small but well-curated grocery section, and one of the biggest, most sidewalk-clogging weekend brunch crowds in town. Good news for those who have happily braved that line: The restaurant will soon expand into the vacant 1,200-square-foot space next door, a former nutritional supplement shop, and should be able to double its amount of indoor seating as a result. According to co-owner May Seto Wasem, the upshot will be shorter wait times during Grand Lake Kitchen's busy lunch and brunch rushes, and more room to accommodate dine-in customers during dinner service, when the patio seating area offers less appeal. Currently, the deli only has a handful of small tables inside, in addition to a long diner-style counter. In the reconfigured Grand Lake Kitchen, the indoor dining area will occupy the new space, allowing the restaurant to install a walk-in cooler to its existing kitchen area — an addition that will enable the restaurant to expand its menu offerings. The new incarnation of the restaurant will also have a full bar. "It will be more comfortable," Seto Wasem said. "Right now people are on top of each other — both the servers and the customers." Construction should start in early 2015, with the restaurant closing for two or three weeks before the new-and-improved version opens in May or June. But Grand Lake Kitchen is wasting no time in putting the new space to use: The restaurant will host a holiday gift bazaar in the vacant store during the two weekends before Christmas — December 13, 14, 20, and 21. Local crafters, jewelry makers, and small-scale food artisans will be on hand to sell their wares, with proceeds benefitting the Alameda County Food Bank.